Letters from Young Americans who discovered the wonders of flight through Jim Walker and his American Junior Aircraft Company. Personal stories of seeing Jim Walker in action with his American Junior Fireball, Model 74 balsa glider or maybe showing off his Radio Control Lawnmower. 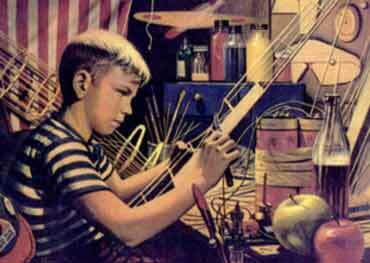 American Junior introduced a generation of young boys to the new hobby of model airplanes. Here they share their stories. If you have a story about Jim Walker, American Junior, or just a fun story about model aviation, please write us here at A-J Classics.